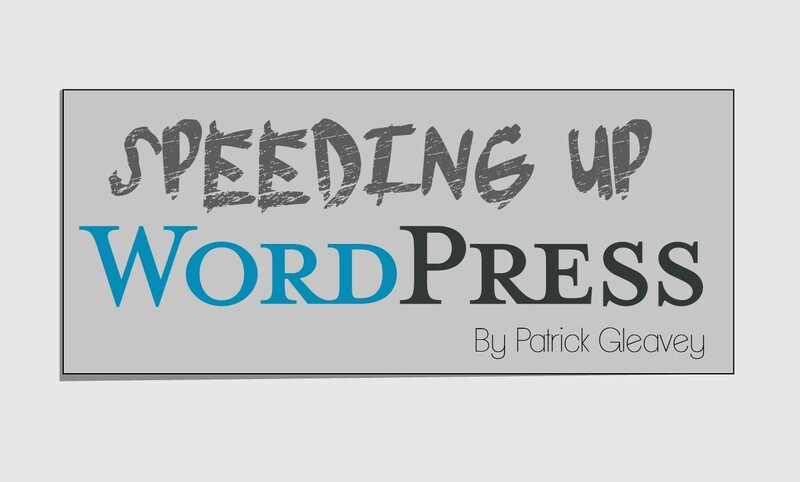 A fast WordPress site is important. If your site becomes too slow, it will not only impact your users, but it can also slow down your admin panel — and who wants that? How big of a ranking factor can be debated. But it is undeniably taken into account by Google. We’ve all used slow websites. It’s annoying. And unless you are the *only* provider of the information or product on your website, people will go elsewhere. According to this KissMetrics article, 40% of people abandon a website that takes more than 3 seconds to load. That’s rough. The most common problem affecting site speed I usually see is un-optimized images. I have seen even seasoned designers forget to do this. You would be surprised how much data those large images are taking up, and contributing to your loading time. You would be even more surprised at how much you can slim them down without compromising on quality. If you are not handy with photoshop, take a look at this article from wpmudevon the top 10 image optimization plugins for WordPress. Look at your worpress installation like you look at your closet — if it doesn’t fit, toss it. The slider plugin you tried out years ago that didn’t fit the bill isn’t doing anyone any good. I personally have trouble with this, although I’m taking an active approach to fixing the habit. Since I am a web designer, I test any new plugin on my own website before using it with any of my clients, and occasionally worry about losing the plugin after the project if it’s good. I now keep a swap file of plugins and themes locally on my computer. If you can’t bring yourself to delete them, at least make sure to deactivate any plugins that aren’t in use. There is a lot going on in your installation you don’t realize, and it’s all collecting dust in your WordPress database. The last 5 or 10 might be great to look at, but they will build up indefinitely. Before I was hip to optimization, my homepage had 60 previous revisions to revert to. Again, I made the mistake of ignoring these when first learning wordpress — unaware that they still take up space in the database. Delete them. You can easily end up making a lot of drafts and forgetting about them. The WP database never forgets. Delete these, too. There is a plugin called WP-Sweep that can take care of most of this for you, and I recommend marking your calendar to clean up the database quarterly. Since WordPress is friendly to all, I aim to be too. I’m going to skip all the technical babble, and give it to you straight: You can slim down what goes on behind the scenes with your sites code. This can be accomplished hassle free with the plugin in the my next tip. Browser caching temporarily stores elements of your site on a users device, which are used on more than one page. For example, you only really need to load a logo that appears on every page once. A plugin I’ve had some success with is W3 Total Cache. It will enable caching, minify your code — and many other tweaks that will speed up your site. It’s worth taking the time to learn about. If you plan on optimizing your site, there is an interesting tool that can help you measure your effort, and find more areas of improvement. It’s called PageSpeed Insights, and was made by Google. It will test your site on mobile and desktop and can find exactly what is slowing your site down. And it’s very specific, unlike most similar tools. For example, rather than telling you that your site needs optimized images, it will tell you which images need to be optimized and by how much.